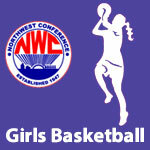 November 2014 – NWC-Sports.com | The Official Site of the Northwest Conference for nwc news, nwc scores and more. Crestview’s Mycah Grandstaff signed a letter of intent to attend Grand Valley State. 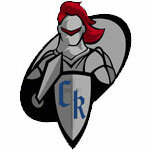 Crestview’s Mycah Grandstaff signed a letter of intent to attend NCAA Division II Grand Valley State. First-year Delphos Jefferson head coach Chris Sommers was selected as the Coach of the Year in all-conference selection voting by coaches at a meeting in Delphos on Tuesday. Delphos won the conference title by defeating Spencerville in the final game of the year to finish the year with a 6-1 league win/loss record. 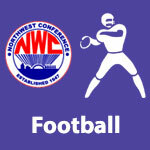 Jefferson senior, Jordan McCann, and Ada senior, Noah Beach, were voted Co-Linemen Of The Year in the NWC. McCann was selected as a first team all-conference defensive end for the second year in a row. Beach was selected as a first-team choice on both the offensive and defensive lines for the second consecutive year. Preston Zaleski, Crestview senior quarterback, was named the Back of the Year in the conference. The top four teams in the conference have all qualified for the OHSAA football playoffs with Crestview, Spencerville and Columbus Grove all tying for the runner-up position in the conference. Delphos Jefferson & Spencerville are ranked in the final Weekly 2014 AP State Football Poll. Delphos Jefferson is ranked 10th and Spencerville is ranked 12th in Division VI in the final weekly 2014 AP State Football Poll. The NWC has 4 of their 8 schools moving on to the playoffs in the final OHSAA Football Computer Rankings.